Puzzled about pre-event publicity? 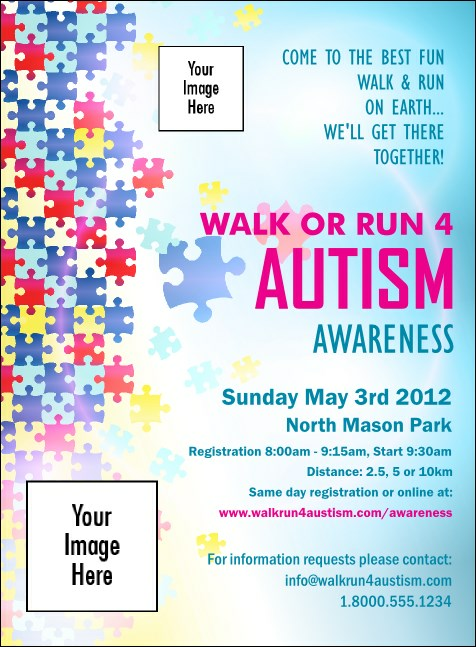 Here's a viable solution: this Autism Awareness Invitation features a polychromatic jigsaw background, seventeen lines for your custom text, and two additional spaces to upload logos, images, photos, or other designs directly from your hard drive to our ticket template. Find your place with TicketPrinting.com.